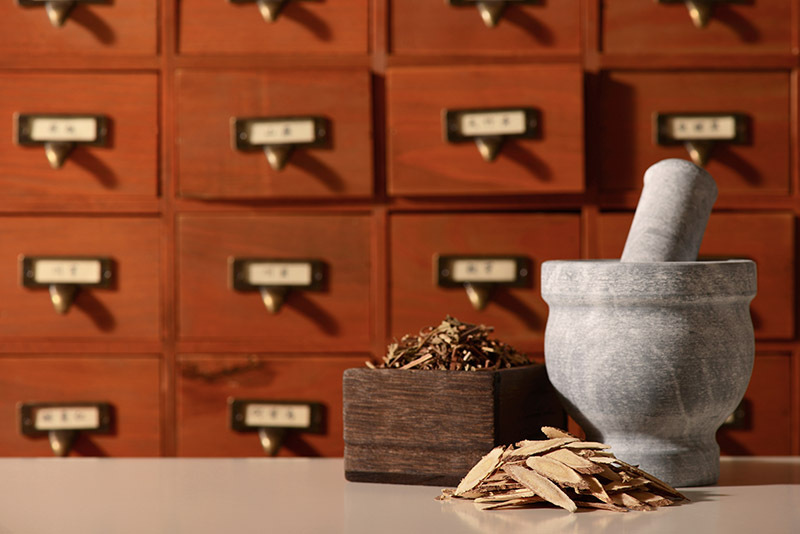 Traditional Chinese medicine has been used for more than two millennia to effectively treat many types of illness. However, the preeminent function of Chinese medicine is the promotion of health rather than the treatment of disease. For this reason, proper diet, exercise and regulation of one’s lifestyle are the keys to good health. Thus, there are considerable overlaps between Qi Gong, Nei Gong, Internal Martial Arts, Chinese medical treatments and the preservation of health and vitality. Traditionally, this knowledge was not the province of medical professionals, but was used by ordinary people who took responsibility for their own health and well-being. Monthly Articles on Chinese medicine including treatment of Sports Injuries, Chinese Herbs, Diet and Exercise, Acupuncture, Moxibustion, Qi Gong Health Exercises & more. Practical Chinese Medicine Seminars: Hands-on, body-based and action-based classes, rather than theoretical. In Tom’s classes you understand the principles and methods very quickly, and can use what you learn right away. Course descriptions are below and upcoming classes are to the lower right. Online Learning Programs: We offer online programs in Chinese medicine & Qi Gong Health Exercises, equally useful for the practitioner or patient. Books: Author of the popular book, A Tooth from the Tiger’s Mouth, Tom Bisio has written numerous books on Chinese medicine, Qi Gong, Daoist Meditation and more. Browse our Books page to learn more. 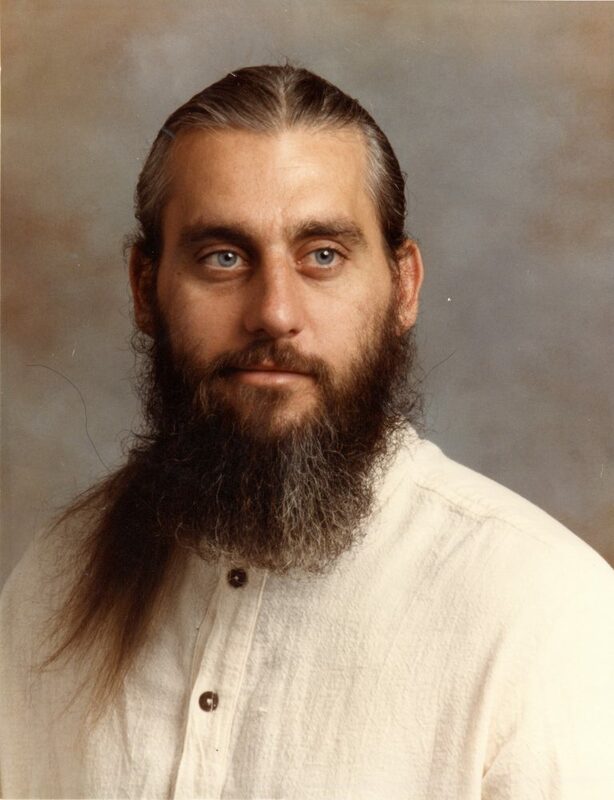 Dr. Vince Black: Master of Martial Arts and Chinese Medicine by Tom Bisio Dr. Vince Black was an amazing martial artist who developed and influenced several generations of outstanding martial arts and Chinese medicine practitioners. Hands-on, body-based and action-based seminars in Practical Chinese Medicine, taught by world-renowned practioner, Tom Bisio. Tom combines 40 years experience in the martial arts and Nei Gong practices with over 25 years of clinical experience in traditional Chinese medicine. He has traveled to China numerous times to study internal martial arts, Nei Gong and Chinese medicine. Since 1998 Tom has taught Tui Na, Chinese Sports Medicine and Zang Fu Tui Na to hundreds of students in the United States, Europe and Canada. Tom is a graduate of the Tri-State College of Acupuncture. The skills taught in Practical Chinese Medicine classes are a distillation of Tom’s apprenticeships, clinical experience and ongoing research into the core principles of traditional Chinese medicine. Practical Chinese Medicine classes are approved by the NCCAOM & NCBTMB for Continuing Education Credits (CE’s/CEU’s) for acupuncturists and massage therapists. Thomas Bisio is approved by the National Certification Board for Therapeutic Massage & Bodywork (NCBTMB) as a continuing education Approved Provider and is also sponsored by NCBTMB to teach New York LMTs continuing education that is accepted by the state of New York for license renewal. See below for accreditation details. Based on Tom’s popular book, A Tooth From the Tiger’s Mouth, in these seminars students directly experience the power and effectiveness of Chinese Medicine in treating and rehabilitating injuries, something Chinese medicine is very good at, often succeeding where Western medicine fails. Tooth from the Tiger’s Mouth seminars are based on Tom Bisio’s popular book, A Tooth From the Tiger’s Mouth. Students directly experience the power and effectiveness of Chinese Medicine by learning sophisticated multi-modality methods of treating and rehabilitating sports injuries, something Chinese medicine is very good at, often succeeding where Western medicine fails. The methods taught in this class are as effective today as they were 1,000 years ago. All Tooth from the Tiger’s Mouth seminars are 2 days. Gong Fu Sports Medicine 1 is an excellent starting point for those interested in learning practical and immediately useful Chinese medicine skills. Open to anyone, this class focuses on the treatment of sports injuries, martial arts training injuries, and other types of trauma including burns, cuts, insect bites, etc. Ideal for trainers, physical therapists, coaches, martial arts instructors, parents whose children play sports, and anyone interested in treating their own injuries with effective, practical and easy-to-use techniques. Our goal: if you or someone you know pulls a muscle or sprains their ankle the day after taking this class, you will know exactly what to do in order to speed healing, reduce recovery time and prevent the sprain from become a chronic, debilitating injury. This 2-day class combines lecture, demonstration and hands-on practice. Gong Fu Sports Medicine 2 builds on Gong Fu Sports Medicine 1, going deeper into the subtle distinctions between the stages of injury in order to make more precise and effective interventions which can speed the healing process. Students review the stages of injury and healing, while learning how to modify internal and external herb formulas in order to increase efficacy and precision of treatment. Greater emphasis is also placed on treating chronic injuries. Martial arts training formulas that enhance athletic performance and prevent injuries will also be discussed. This 2-day class combines lecture, demonstration and hands-on practice. For thousands of years, Chinese medicine has utilized an extremely effective method of rehabilitation, one that is only now beginning to be appreciated by physical therapists in the West. Unlike standard physical therapy exercises, which usually focus on strength training and cardio-vascular exercise, Qi Gong and Nei Gong methods teach the body to work as a unified organism by re-programming the neuro-muscular system. Qi Gong for Sports Injuries & Orthopedic Conditions combines lecture, theory, demonstration and practice of Qi Gong/Nei Gong routines and individual exercises that can be used to help rehabilitate injuries, promote correct body alignment, and enhance the general health of the patient. Students will learn a set of 16 rehabilitative exercises that can be modified for different injuries and clinical situations. Other specific exercises will be included, as well as strategies for creating exercise prescriptions. Highly recommended for body, workers, acupuncturists, chiropractors, osteopaths, sports trainers, and coaches. This 2-day class combines lecture, demonstration and hands-on practice. Traditional Tui Na is one of the most powerful modalities in Chinese Medicine, known for consistently producing clinical results. Traditional Tui Na, and its associated Zheng Gu techniques, form a unique, hands-on therapy through which one intuitively perceives and connects with the underlying principles of Chinese medicine. Traditional Tui Na contains 26 “hand methods”, each of which creates different mechanical and energetic signatures whose action occurs at a specific depth and produces different effects inside the body. These hand methods elicit different diagnostic information, and can also be combined into mixed techniques, in order to adapt to different clinical situations. The 26 hand methods, and knowledge of more than 30 key acupuncture points are integrated into adaptable and clinically effective protocols making them easy to learn and immediately use. Traditional Tui Na contains Zheng Gu (“Correct the Bone”) methods which realign and restore integrity to the joints and soft tissue. These techniques are seamlessly integrated into treatment principles and protocols. Students will also learn Qi Gong and Nei Gong practices that enhance body mechanics, so that Tui Na methods can be performed effectively and effortlessly. Traditional Tui Na is offered as a package of 4 weekend seminars. Upon completion you will receive a Traditional Tui Na Practitioner Certificate. This first class in the Traditional Tui Na Series, TTN1: Essential Principles & The Back Protocol, lays the groundwork for future classes while simultaneously improving clinical effectiveness in many areas. Students learn a hands-on Tui Na sequence which teaches the basic hand techniques, proper body mechanics and builds the foundation for a wide variety of treatments. The core of this class is the “Back Protocol”, which develops an integrated approach to diagnosis and treatment which inculcates correct clinical procedures from the start. The Back Protocol is a unique method of regulating the spine and the Du (or “Governing”) Vessel, which connects to the brain and spinal cord, and globally regulates and controls countless body functions. 15 basic hand methods are integrated into the Back Protocol, and students are introduced to five key acupuncture points. Proper body mechanics and alignment are stressed throughout the class. Students will learn the Qi Gong Body strengthening exercises of Shaolin Nei Gong, which aid the practitioner in performing Tui Na correctly and with maximum effectiveness. Zheng Gu Techniques for mobilizing the ribs, and the upper and lower back. Functional Anatomy that Directly Relates to the Tui Na techniques. TTN 2: Treating the Back and Lower Limb continues where TTN1 left off by presenting a global approach to treating problems of the low back, hip, knee, ankle, and foot. New techniques are added to the back protocol learned in TNN1, so that students can more effectively treat various kinds of back pain and lower limb conditions. Additional hand techniques are added and more advanced Zheng Gu techniques for the back, sacro-iliac joints, hip, knee and ankle will also be explored in detail. Nine key acupuncture points will be introduced as part of the basic protocols. Basic principles of treating the lower limb will be explained and practiced and students will learn how to modify a basic lower limb protocol to treat different conditions, such as sacroiliac problems and hip pain, bursitis of the hip and knee, patellar syndrome, torn ligaments in the knee, shin splints, Achilles tendonitis, ankle sprains, plantar fascitis, and more. Students will review the Seven Shaolin Nei Gong Exercises and learn Tian Gan (“Heavenly Stem”) Nei Gong, a set of exercises that regulate the spine and the Du Meridian so energy can be transmitted smoothly to the arms and hands. Treating the neck and upper limb can be challenging due to complex, interconnected and highly mobile structure of these areas. Many of the principles learned in TTN 2 will be applied to understanding treatments of the neck and upper limb. In TTN3: Treating the Neck and Upper Limb, students will learn how to effectively treat neck pain and restriction, as well as upper limb conditions such as frozen shoulder, torn rotator cuff, tennis elbow, bicipital tendonitis, wrist pain, carpal tunnel, thumb and finger injuries, and trigger finger. Students will be introduced to last five of the 26 Tui Na Hand techniques, learn 13 key acupuncture points and practice integrated treatment protocols that include Zheng Gu methods of mobilizing and realigning the neck and upper limb. Standing Meditation (Zhan Zhuang) exercises will be introduced in order to further develop the internal alignment and the integrated intention and force necessary to correctly perform advanced Tui Na techniques. This Master Class introduces advanced concepts and techniques, including the integration of visual assessment and Tui Na based diagnostic skills that are an extension of the Tui Na techniques. Emphasis in TTN4: Master Class – Advanced Tui Na & Zheng Gu Techniques will be on completely integrating Zheng Gu and Tui Na methods into a seamless whole, so that a diagnosis and treatment are completely interconnected and inseparable. Advanced Zheng Gu Techniques will be introduced along with more sophisticated application of Tui Na hand techniques. Three Key acupuncture points will also be discussed. Students will also review Tian Gan Nei Gong and Standing Meditation practices. Zang Fu Tui Na offers a direct, hands-on method of diagnosing organ imbalances, while simultaneously eliciting effective, immediate, and profound changes in the body. It is an important and largely forgotten part of Traditional Tui Na. 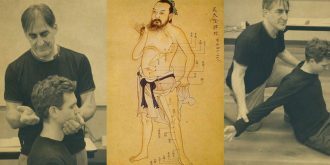 Working with the internal organs using Zang Fu Tui Na truly matches up with how we feel the Chinese originally conceptualized the functioning and interaction of the internal organs (Zang Fu). A great way to begin to really understand Chinese medicine. Zang Fu Tui Na teaches methods of regulating the function of the internal organs (Zang Fu) through direct and indirect energetic visceral mobilization techniques. This important and rarely taught aspect of Tui Na can be more effective than acupuncture and Chinese herbs in regulating the Qi dynamic, calming the Shen (spirit), and harmonizing the functions of the internal organs. Zang Fu Tui Na is both diagnostic and therapeutic, offering a direct, hands-on method of diagnosing organ imbalances, while simultaneously eliciting effective, immediate, and profound changes in the body. In the Zang Fu Tui Na series, students are simultaneously exposed to four interconnected Zang Fu perspectives: Nei Gong practices, Western anatomy and function, Zang Fu theory (Chinese Medicine), and a Jing-Luo acupuncture point perspective. Zang Fu Tui Na is offered as a package of 4 weekend seminars. Upon completion students receive a Zang Fu Tui Na Practitioner Certificate. The Zang Fu Tui Na series of 4 seminars is NCCAOM & NCBTMB approved for 56 CEUs. Also approved for NY State LMT’s. ZFTN 1: Introduction to Zang Fu Tui Na introduces the basic principles and techniques used to regulate and balance the function of the internal organs through direct and indirect energetic visceral mobilization techniques. Students begin by balancing and regulating the San Jiao system and then move on to work with the Qi Dynamics of the five Zang Organs: Liver, Heart, Spleen, Lung and Kidney. Methods of releasing restrictions in the diaphragm, thoracic outlet, Lungs and Pericardium are introduced and practiced. An important part of this class is Qi Cultivation Nei Gong, which enhances one’s ability to engage with the Qi Dynamic and sense and regulate the internal organs. ZFTN 2: Zang Fu Tui Na Techniques A builds on ZFTN 1 by further developing techniques for regulating the internal organs (Zang Fu). 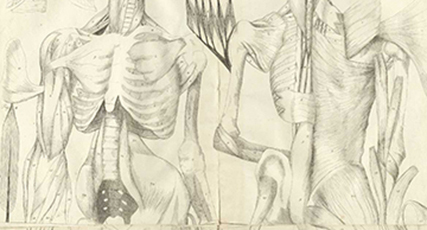 This class focuses on the organs of digestion: Liver, Gallbladder, Spleen, Stomach and Pancreas. The relationship of these organs to the Qi Dynamic, and the diaphragm, and the inter-connection of the Pericardium and Liver will be also be discussed. Students will review Qi Cultivation Exercises and learn Five Element Qi Gong. Five Element Qi Gong further develops the ability of the practitioner to sense and regulate the intrinsic Qi Dynamic of each organ, while simultaneously providing students with effective rehabilitative exercises that can be taught to patients in a clinical or classroom setting. Zang Fu Tui Na Techniques B completes the student’s knowledge of basic organ regulating techniques and methods by working with the organs of the pelvis (Lower Heater). This class adds methods of regulating and balancing the Duodenum, Small Intestine and Large Intestine, and protocols for treating the entire digestive system are explored and practiced. Effective techniques for treating the Kidney and Bladder will also be practiced. Daoist concepts of internal energetics are introduced in order to round out the student’s understanding of the Kidney’s relationship with the Mingmen, Heart and Small Intestine. Students also learn a Daoist Meditation exercise in which one senses the “True Breath” – its movement through the body and its effect on the internal organs. Techniques for Regulating the Duodenum, Jejunum and Ileum (Small Intestine). This Master Class in Zang Fu Tui Na ties together the techniques and concepts learned in ZFTN 1-3, while introducing protocols for regulating Liver/Gallbladder Heat and Heart Fire syndromes and balancing Fire (Heart/Pericardium/Small Intestine) and Water (Kidneys and Bladder). In addition to reviewing and combining techniques taught in the earlier classes, the Master Class introduces “Whole Body Unwinding” of the fascial networks which include the organs, joints and meridians. Fascial unwinding connects this class directly to the Traditional Tui Na methods and Zheng Gu techniques, enabling the student to understand the close inter-relationship between internal disharmonies and orthopedic conditions. Students will also learn the Six Healing Sounds, a unique Nei Gong method that employs sound, vibration and mouth shapes to regulate and harmonize the Zang Fu. Classes in Sports and Orthopedic Acupuncture focus on practical clinical techniques based on both channel theory and anatomical needling, Students will learn needling methods, point prescriptions and needling techniques that have proven clinical efficacy in the treatment of Sports Injuries and Orthopedic Conditions. Sports & Orthopedic Acupuncture classes focus on practical clinical techniques based on both channel theory and anatomical needling, Students will learn needling methods, point prescriptions and needling techniques that have proven clinical efficacy in the treatment of Sports Injuries and Orthopedic Conditions. In all classes needle depth, angle of insertion, and needle manipulation will be demonstrated and practiced. These classes three classes can be taken independently and do not need to be taken in a specific order. Techniques of anatomical needling for the neck and upper limb. How to insert needles correctly, with proper placement and depth. Treatment protocols and principles for the orthopedic conditions of the neck and arm, including needling in accordance with local anatomy. How to combine Orthopedic Acupuncture with other therapeutic modalities. The second class focuses on treating Sports Injuries and Orthopedic Conditions of the Back and Lower Limb. Students will learn needling methods, point prescriptions and needling techniques that have proven clinical efficacy. Emphasis will be on the importance of anatomical needling, including the importance of using specific angle of insertions and manipulation to generate therapeutic effect. All techniques will be demonstrated and practiced. 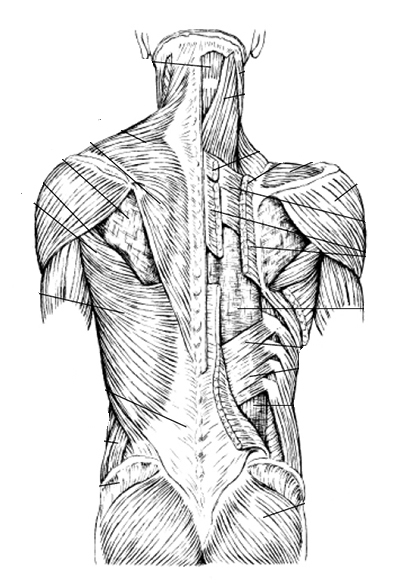 Techniques of anatomical needling for the back and lower limb. Treatment protocols and principles for various orthopedic conditions of the back and lower limb, including needling in accordance with local anatomy. In the third class, students will explore using the Channels and Collaterals in the treatment of Sports Injuries and Orthopedic Conditions. General theory and specific in treating in General Theories, treatment strategies and point categories and combinations will be covered, including the use of gate points, harmonizing the Qi Dynamic, Triple Heater regulatory treatments and the use of the Sinew, Divergent and Luo channels. Palpation, needle manipulation and practical application of these methods will be demonstrated and practiced. How to visually inspect and palpate the channels and collaterals in order to illicit useful clinical information. How to direct Qi sensation through the channels and collaterals. How to effectively use the Divergent, Luo and Sinew channels to treat orthopedic conditions. How to to effectively perform Triple Heater Regulatory treatments. How to treat dysfunctions in the Qi Dynamic. Principles of Global Treatment – tying together orthopedic and constitutional treatments. Cranio-Sacral Therapy is an Osteopathic technique in which gentle manipulation of the cranial bones and the “Cranial Rhythm” is used to balance and regulate the body. Cranio-Sacral work is the therapy of choice for head injuries, TMJ, trauma from dental surgery and many kinds of bony and membranous restrictions that affect brain and spinal function. Cranio-Sacral Therapy from a Chinese Medicine Perspective covers the key aspects of Cranio-Sacral therapy in an hands-on course aimed at producing clinical skills that are immediately practical in a clinical setting. Students will learn a basic 12-Step Protocol for assessing and treating the movement of the Eight Cranial Bones. They will also learn how to work with the facial bones, teeth and hard palate. Connections will be made between Cranio-Sacral work and theories of traditional Chinese medicine. Relationships to acupuncture points and Tui Na techniques will also be discussed. Students will learn and practice Qi Cultivation Nei Gong, which enhances one’s ability to engage with the Qi Dynamic and sense and regulate the body’s internal structures. Cranio-Sacral Therapy from a Chinese Medicine Perspective is a 3-day seminar. 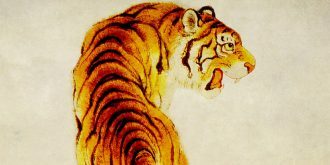 In A Tooth From the Tiger’s Mouth, Tom Bisio introduced Chinese medical concepts in a clear, concise, and learnable manner. Although A Tooth From the Tiger’s Mouth was written for lay people, many Chinese medical practitioners buy the book and it is used in schools of Traditional Oriental Medicine precisely because it has a practical approach that most textbooks lack. This same practical approach is the model for our classes. Tom Bisio combines over 40 years experience in the martial arts and Nei Gong practices with over 25 years of clinical experience in traditional Chinese medicine. He has traveled to China numerous times to study internal martial arts, Nei Gong and Chinese medicine. Since 1998 Tom has taught Tui Na, Chinese Sports Medicine and Zang Fu Tui Na to hundreds of students in the United States, Europe and Canada. Tom is a graduate of the Tri-State College of Acupuncture. The skills taught in these classes are a distillation of Tom’s apprenticeships, clinical experience and ongoing research into the core principles of traditional Chinese medicine.